LOCATIONS: Alpharetta, Atlanta, Austell, Chamblee, College, Decatur, Doraville, Duluth, East Point, Fairburn, Forest Park, Jonesboro, Kennesaw, Lithonia, Mableton, Marietta, Norcross, Riverdale, Roswell, Scottdale, Smyrna, Stockbridge, Stone Mountain, Tucker, Union City, & Vinings. Keep your home safe from plumbing emergencies! Call Plumbing 4 Less now at (404) 753-9191. Or click here to take advantage of our current specials and discount coupons! Nothing is more important to maintain than your home. 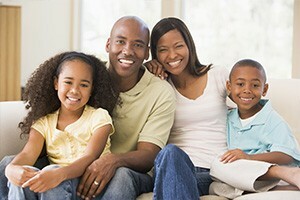 A well cared for home makes a comfortable place to live for you and your family. It also protects the investment that you have worked hard to make. We can help you keep your house the comfortable home that you want for you and your family at an affordable price. Our expert staff has years of experience and firsthand knowledge to help you through any plumbing emergency or routine maintenance you need. Take a look at what your neighbors are saying in our customer reviews! Are certified members of the Better Business Bureau. Promise to treat your home like ours. Make your satisfaction our top priority. How Can I Prevent Drain Buildup? A simple way to prevent drain buildup is to run hot water through your drains. This can be done nightly as an addition to normal cleanup after dinner time. The most effective way however, is taking advantage of professional cleaning services. Your home’s drains should be cleaned by a certified technician once or twice a year, this will ensure that your pipes are thoroughly clean and working at their full potential. Determining if there’s a leak and if you will require a plumber is sometimes difficult. Water loss is one thing, but combine that with the cost of electricity, natural gas or propane and any leaky system can prove excessively costly. Pay attention to the pressure of your running water, if it is slower or inconsistent, your system may have a leak. Another indicator is the sound of running water even when turned off, or a sudden rise in your water bill. When faces with a leaky system, you should call a plumber and have the line inspected. If your water heater is more than 10 years old, leaks around the base of the tank, works erratically or not it all, it probably needs to be replaced. With a maximum lifespan of 15 years, constant repairs after the 10 year mark are simply not feasible. We look forward to being of service to you and your loved ones, so contact us today at 678-820-4747.